Are you interested in getting dental inlays or dental onlays in Anchorage? Curious to learn how inlays work, and how they compare to dental fillings? Dr. Green of Turnagain Dental is here to assist you, and answer all of your questions about inlays and onlays. While no one likes to imagine getting a cavity, they are more common than you may think. Addressing cavities quickly is essential; if left untreated, cavities can lead to more serious dental problems like tooth loss, or even systemic health problems that require costly, invasive care. If you have developed a cavity, you can trust Dr. David Green of Turnagain Dental to quickly repair the problem. He treats many cases of cavities with restorations known as inlays and onlays. Inlays and onlays allow Dr. Green to restore the decayed portion of tooth structure, preserve as much healthy tooth structure as possible and maintain a natural, attractive tooth color and shape. Properly designed and placed inlays and onlays actually strengthen damaged teeth. 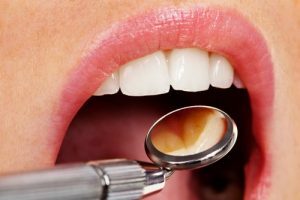 What are dental inlays? How would you compare dental inlays vs fillings? Fillings and inlays and onlays are similar. All three of them are used to address missing enamel that is either broken, or removed due to decay. The fillings or inlays and onlays are then added into the space where that decayed material was removed, and the space is filled. However, how that space is filled differs with each approach. With a filling, Dr. Green immediately places a silver (amalgam) or tooth-colored (composite) material to fill the space. The filling “fills” out the missing portion of the tooth, and restores the bite surface. This process can be completed in a single appointment. Inlays and onlays on the other hand are created in a dental laboratory based on the exact specifications of the patient’s tooth. As a result, inlays and onlays require more than one dental visit to complete. They are designed to fit the shape and size of the empty space left over after the decayed tooth structure is removed. Dr. Green takes measurements and other records to guide the technician that creates the inlays or onlays. They are fabricated as a single, solid piece of ceramic or gold material. Once they are ready, inlays and onlays are fitted onto the tooth and then bonded into place. Inlays and onlays typically take two appointments to fit and place. During the first visit to our Anchorage dental office, Dr. Green removes the damaged portion of tooth structure and cleans the tooth. He evaluates the tooth to decide whether it needs an inlay or an onlay. Inlays are smaller than onlays and fit in the center of the tooth surface within the cusps, or points of the tooth. Onlays extend over one or more of the tooth’s cusps. Dr. Green also selects the material for the restoration; inlays and onlays can be made from gold, porcelain or resin materials. Impressions are taken of the tooth and sent to the dental laboratory responsible for fabricating the inlay or onlay. In the meantime, Dr. Green can place a temporary restoration to protect the tooth while the permanent inlay or onlay is being constructed. Once the permanent restoration is finished, the second appointment is scheduled. The provisional restoration is removed and the permanent inlay or onlay is placed onto the tooth to check its fit and the bite. If Dr. Green is happy with the fit and bite, he bonds the inlay or onlay onto the tooth and polishes the tooth’s margins. How long an inlay or onlay lasts depends on the material used and the location in the mouth. With the proper oral care and occasional check-ups with a dentist, inlays and onlays can last for years. To learn more about cavities and how they are treated, please contact Turnagain Dental and book an appointment with Dr. Green.